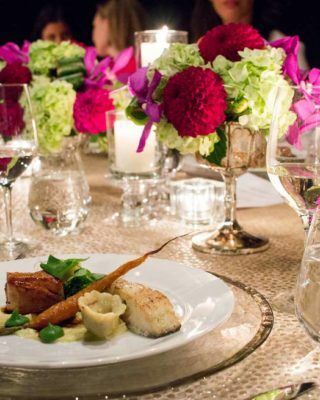 On Sunday, January 13th, a touch of magic fell upon The Carlu. 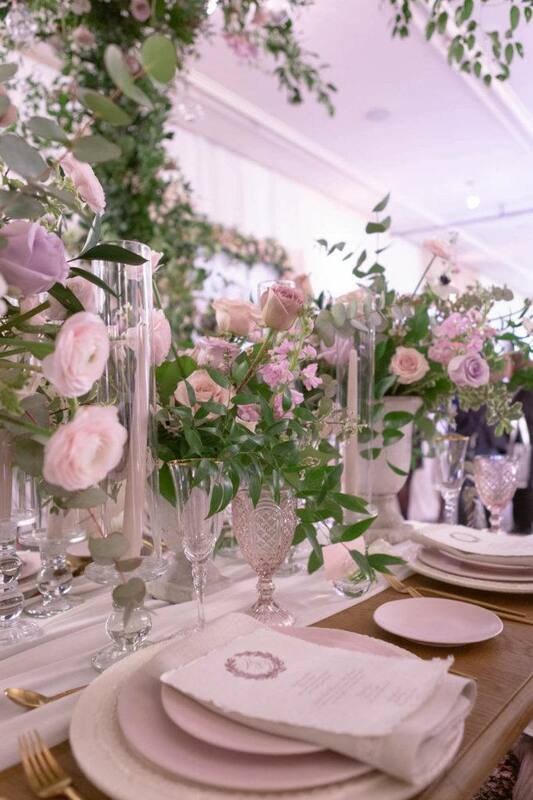 No pumpkins or glass slippers in sight, but our venue certainly transformed into a modern-day fairy tale! 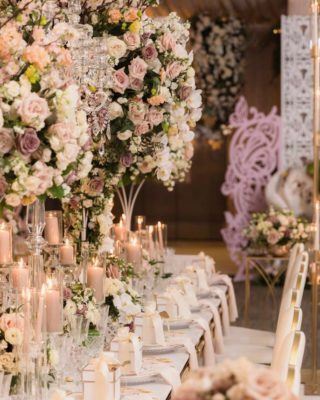 Entering through a myriad of mirrors and lush florals, stepping off the elevator felt more like a step into every bridal dream. 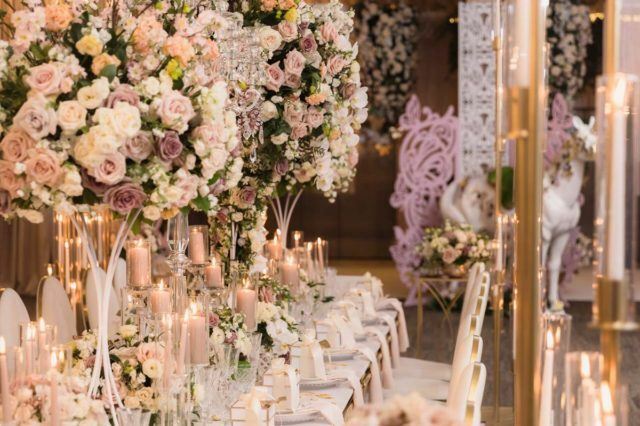 Looking left and right, each bride and groom was able to see themselves reflected in the luxe environment that could potentially be their future wedding. 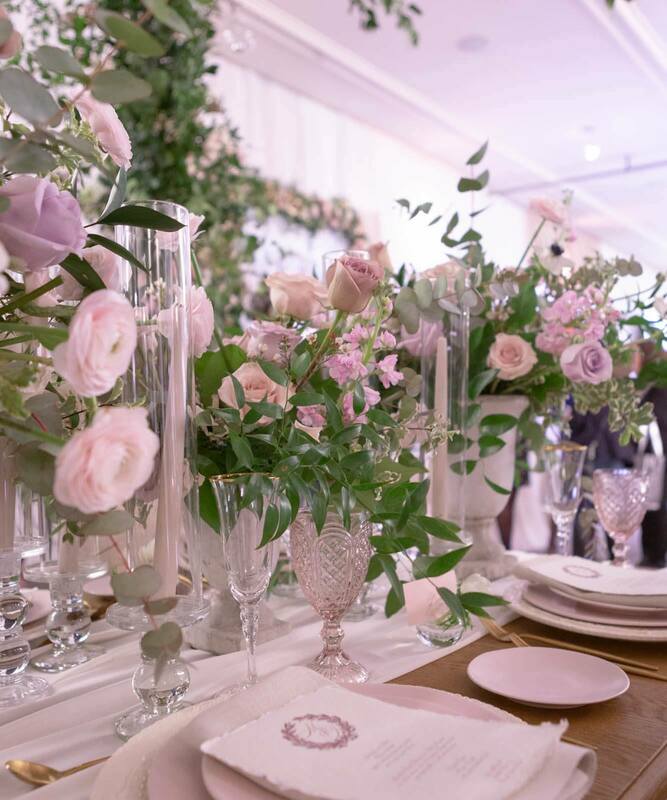 With wall-to-wall exhibitors ready to offer their advice, their services, and perhaps a special treat, WedLuxe was the perfect place for our guests to begin envisioning their dream weddings. 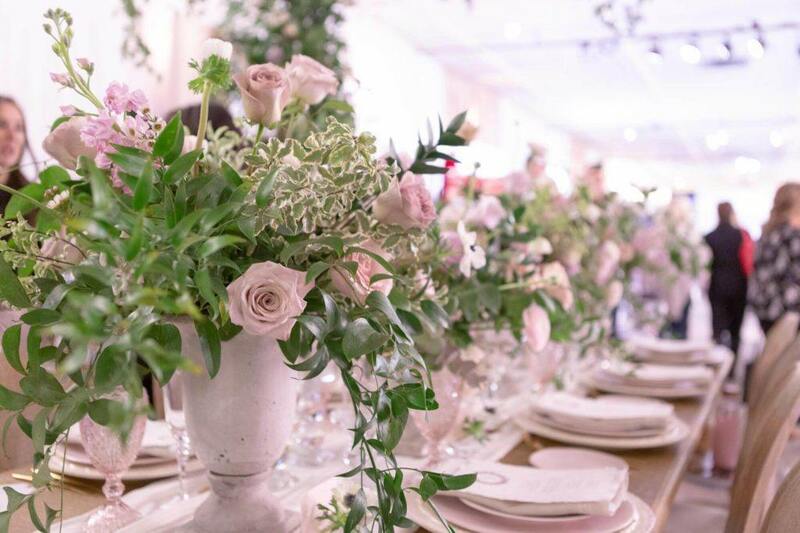 From makeup artists, to jewelers, photographers and florists, everyone who had something to offer in cutting-edge wedding planning was there. 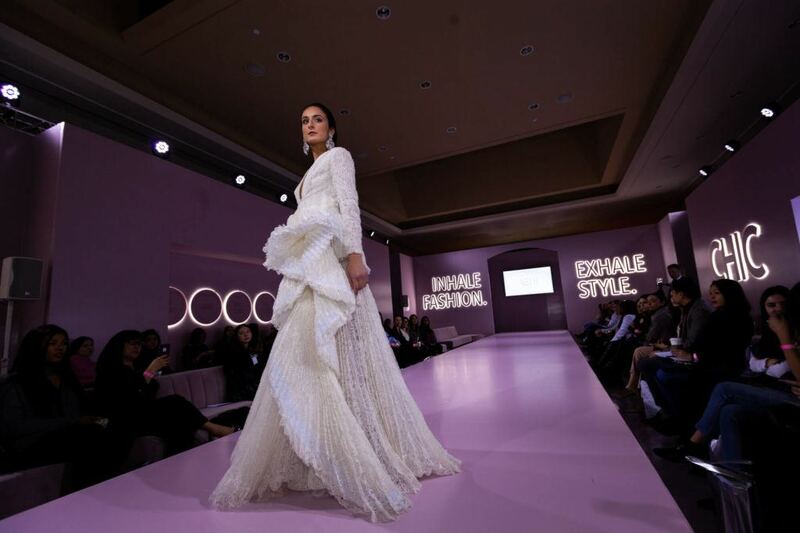 Last year’s show debuted the WedLuxe Show Runway, where couture gowns and bespoke suits from top designers such as Ashi Studio and Harry Rosen, showed off their most stunning pieces. 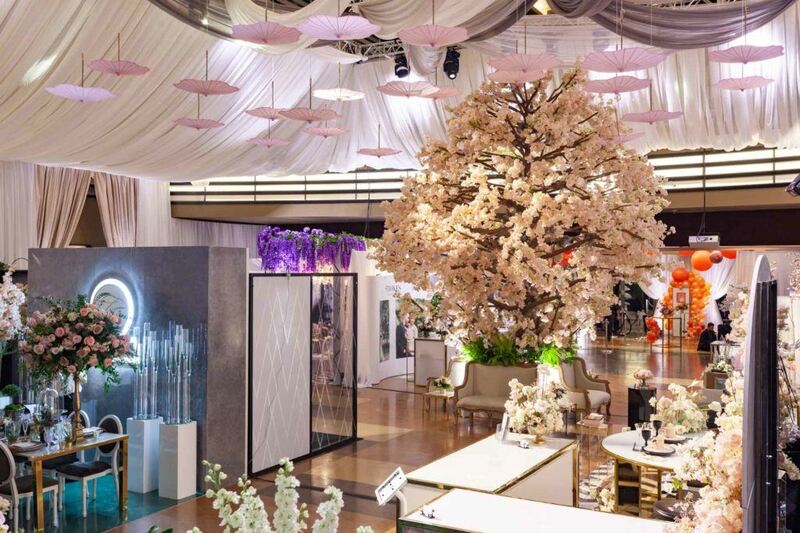 This year’s WedLuxe Runway took place in our Sky Room. 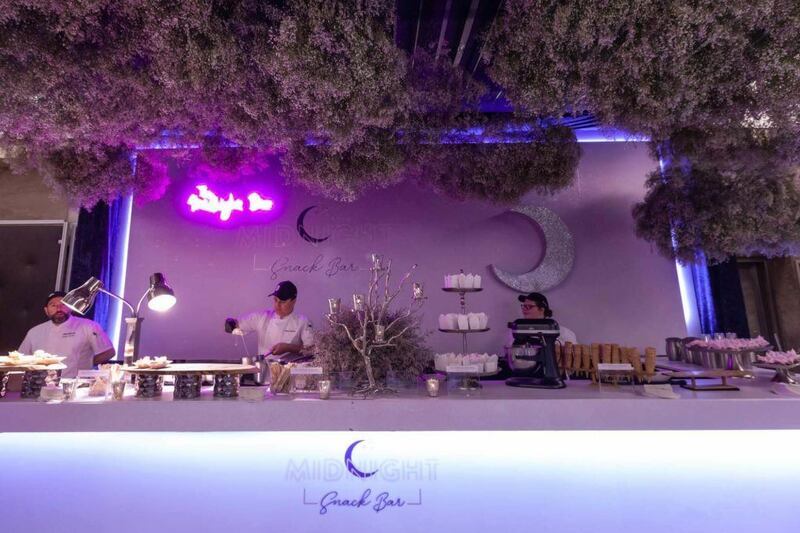 The room’s floor-to-ceiling lavender embellishments, clear chairs, and lush lavender seating, were illuminated by large neon signs on every wall. 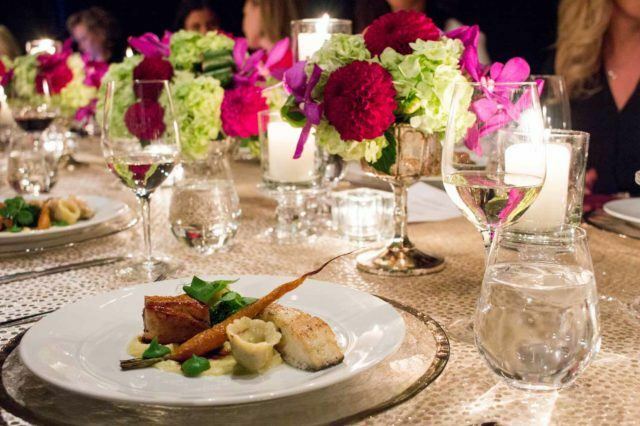 No other word can be used to describe the room, the runway and the couture, other than CHIC. 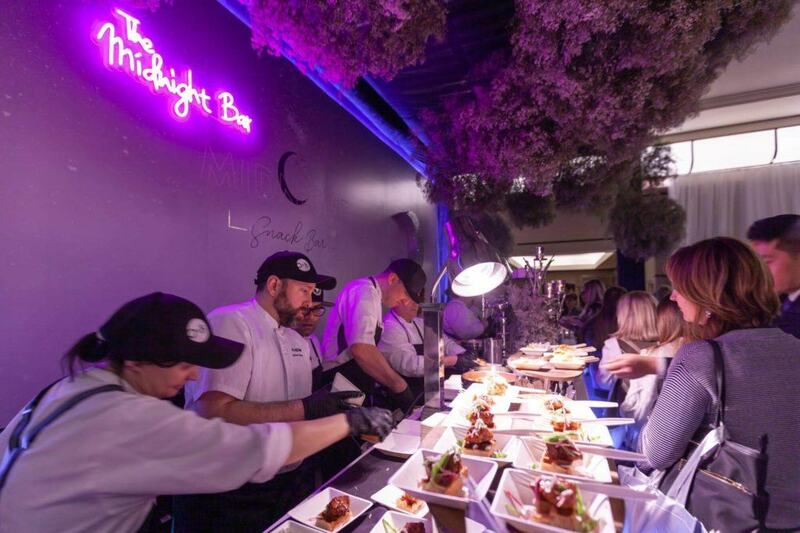 Post-Runway, our Midnight Snack Bar was the place to be. 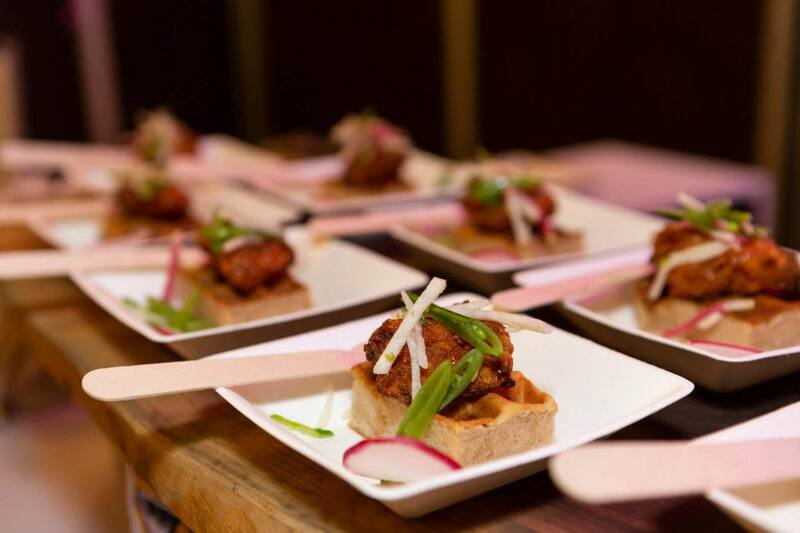 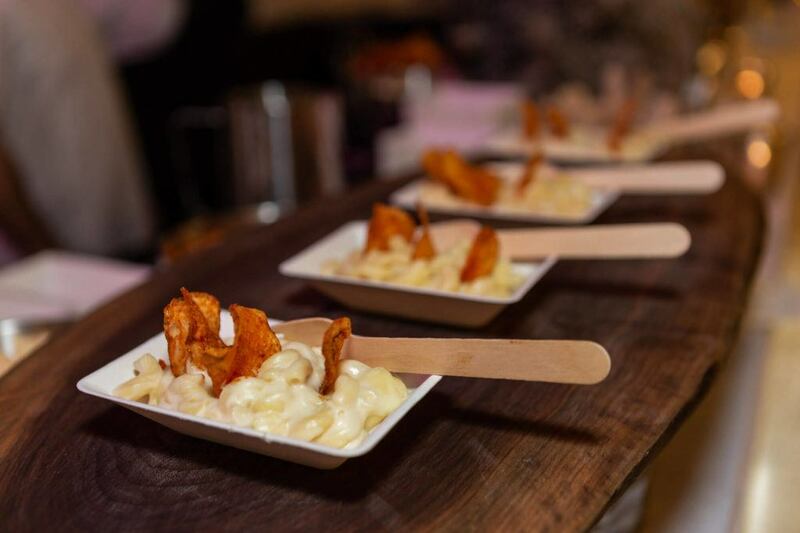 O&B Catering offered our guests everything from Fried Chicken and Waffle served with radish, snow pea and jicama, to Liquid Nitrogen Mango Guava Ice Cream. 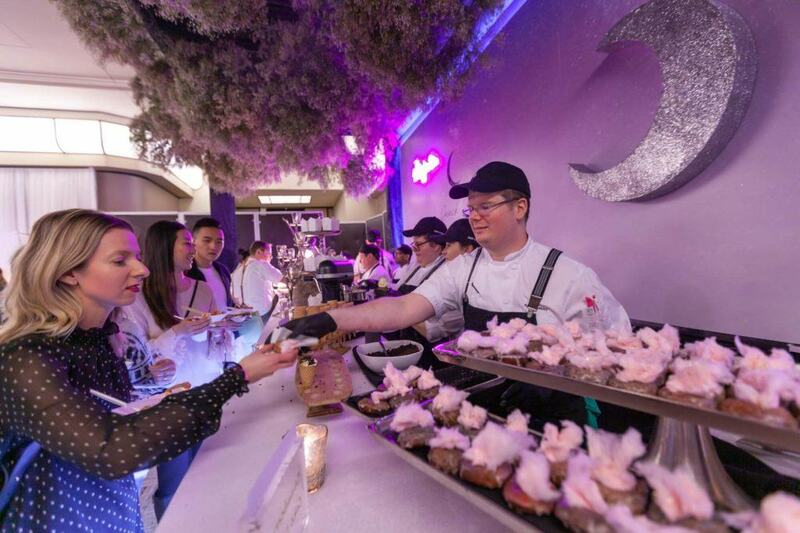 Taste buds were dancing as guests strolled through the beautiful décor to visit the plentiful list of exhibitors waiting to greet them. 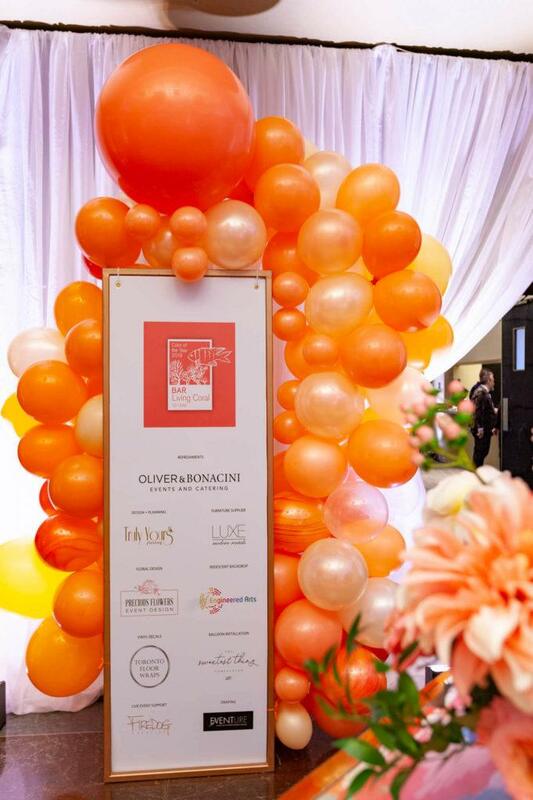 Setting the tone for 2019 weddings, Oliver & Bonacini’s carefully crafted mocktail, Mi Amor, was inspired by Pantone’s Colour of the Year, “Living Coral.” Our Bar Living Coral was a huge success, offering the most delicious mocktail with a blend of ingredients such as: candied pineapple mango, lavender tea infusion and a vegan merengue to top it all off! 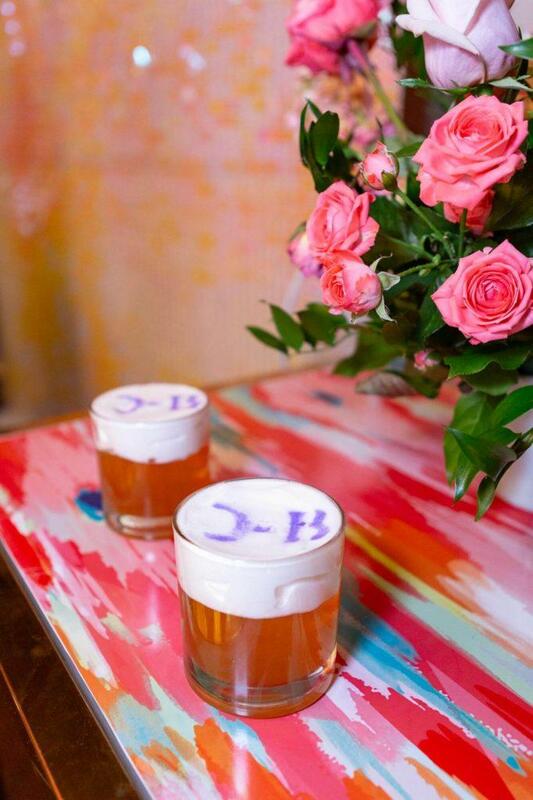 Next to the bar, guests were delighted to see an even more delicious backdrop for them to to take as many pictures and boomerangs as their hearts desired! 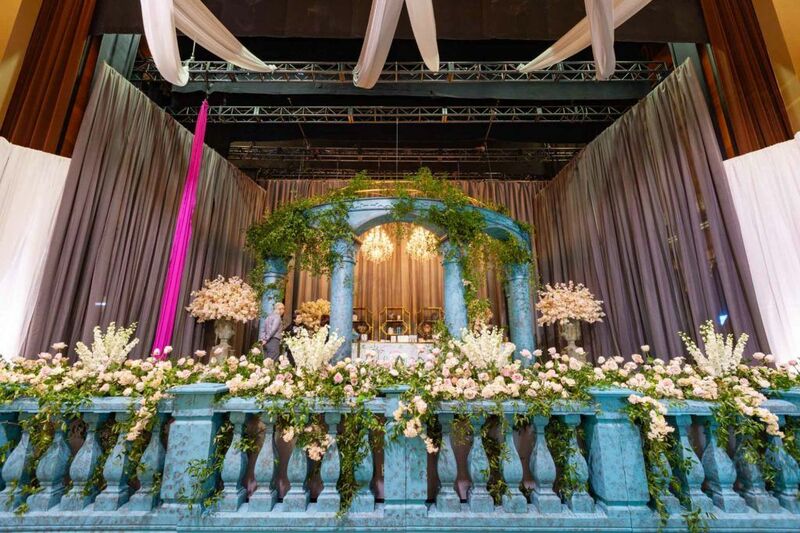 Before they left with happy stomachs, and visions of florals, tabletops, custom invitations, and perhaps a prize to put towards their wedding, guests visited the show-stopping attraction of the show. 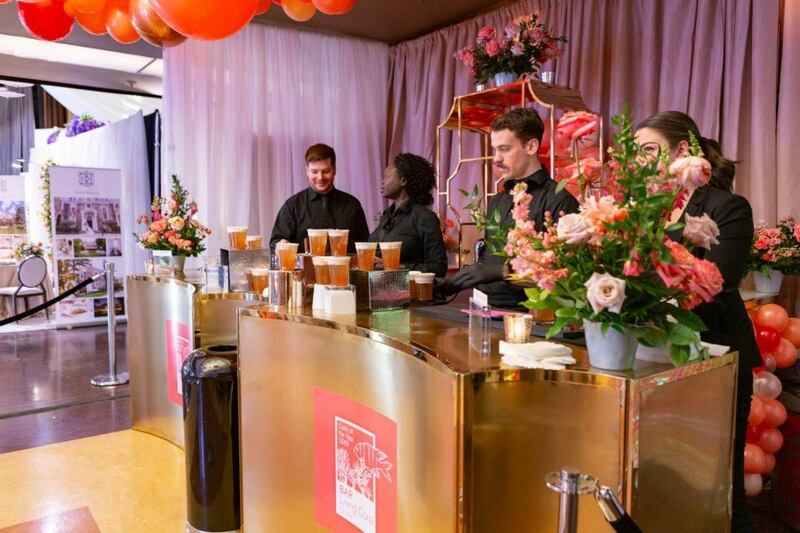 The WedLuxe Gift Bar was nothing short of perfection. 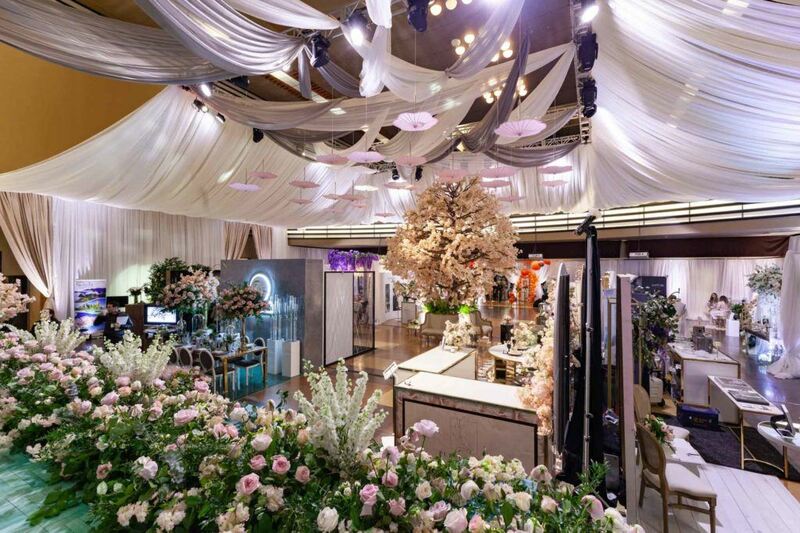 The Grand Conservatory was designed by Engineered Arts and Truly Yours Planning, and featured a garden of opulent flowers, ballerinas from TDC Entertainment, and all of the gifts any bride and groom-to be could dream of. 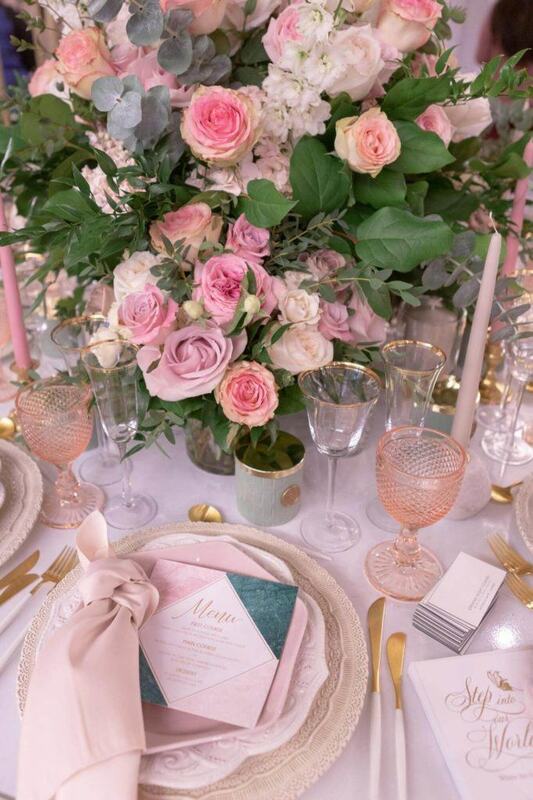 The WedLuxe 2019 Show was everything we had hoped it would be, and more. 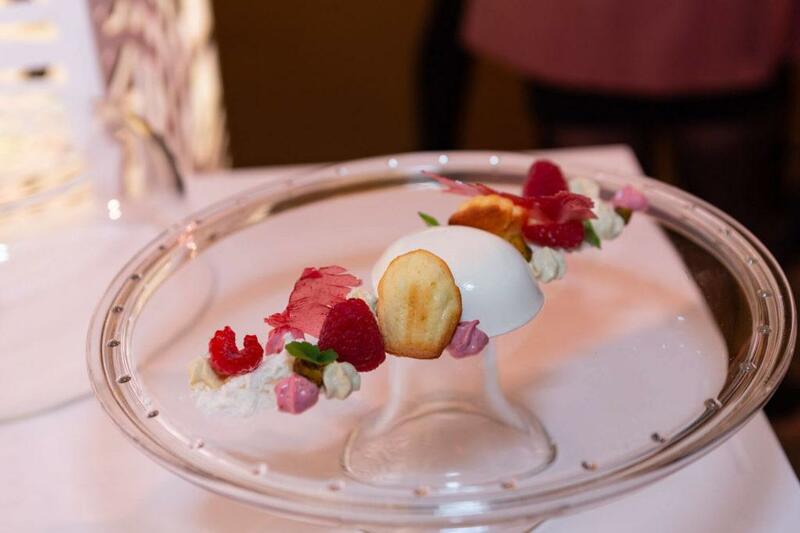 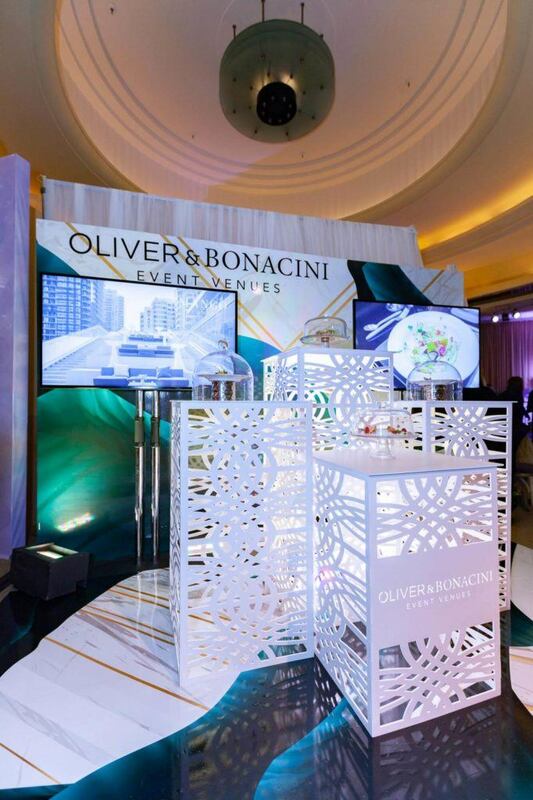 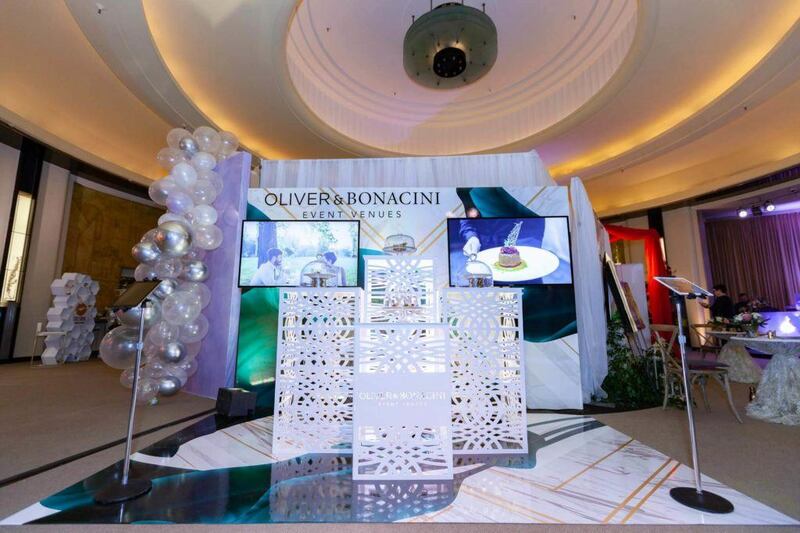 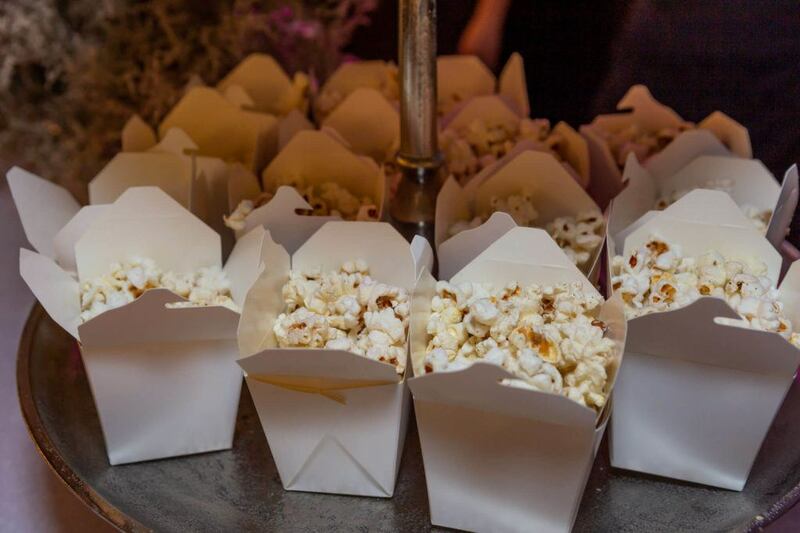 We are so happy to be a part of this truly opulent event, and cannot wait to see what they have in store for us next.